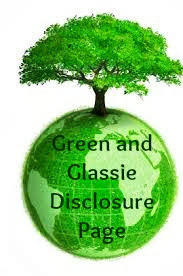 Green and Glassie: Have you heard of Handpicked??? Have you heard of Handpicked??? The app makes it easy to save interesting dish posts by adding them to topics which can be shared with others. By following different topics, users get notified when new dishes are added, making Handpick a reliable source for continuously refreshed food content. This means users can find dish topics titled anything from Gluten-free Desserts to 7 Ways To Use Tofu. With its new approach of curating content from Instagram, Handpick features over 10 million food posts, thus making it the world’s largest searchable collection of food. The company’s editorial team hand-picks the best dishes daily, allowing users to quickly and easily find great dish ideas without having to pore over thousands of results. The new app also allows users to pick and combine over 10,000 ingredients, more than any other food app available. For more information, visit the Handpick website: www.handpick.com, connect on Facebook,Twitter, Instagram and YouTube. That sounds like an awesome app! I need to check it out. I had NO idea there was such a thing as sharing recipes on instagram! I thought it was pictures of food, sure, but that there's enough content in there to curate it? Wow, super surprised and need to check this out to be better informed. Sounds like a great resource to stay healthy. I wonder if they have Paleo recipes and information on there. I need the 7 ways to use tofu. this sounds like an awesome app to have to help you. Wow. What a neat app. This would be real handy. I love food apps, I will have to look into this one. I've not heard of this before but I am absolutely loving it! What a neat app and a great way to get to try out new recipes. Gosh this makes last minute cooking so much easier. I love that you can chose the ingredients! A friend of mine has been using this app for a few weeks, and she loves it! Really swears by it! Thanks for sharing! I love creating new dishes. I will most definitely check this app out! I've never heard of it before now and I'll have to check it out. Sounds like a great app. I have never heard of it before. I am definitely going to check it out though. I love apps that help me save time. This one looks like a real winner! Interesting. I think this app woudl be really helpful. Thanks for the info. Oh this app looks awesome! I am constantly stuck in a rut and this looks like a great way to mix things up a bit and save time too!